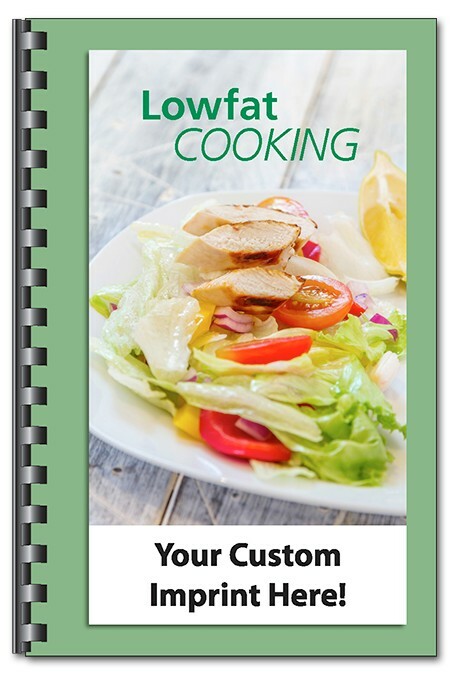 This low fat recipe book has healthy cooking ideas for great nutrition. The perfect ingredient for any health & wellness or fitness promotion! This cookbook make a nice hospital health fair handout or giveaway. Also great as a corporate employee wellness gift. Includes healthy eating recipes for all courses to maintain a healthy heart and maintain weight and body tone. Great-tasting, low-fat recipes plus nutritional information--they won''t know they''re eating healthy.